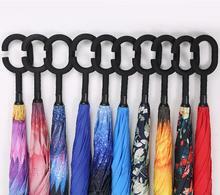 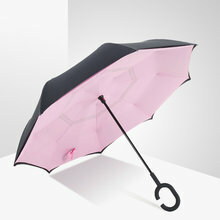 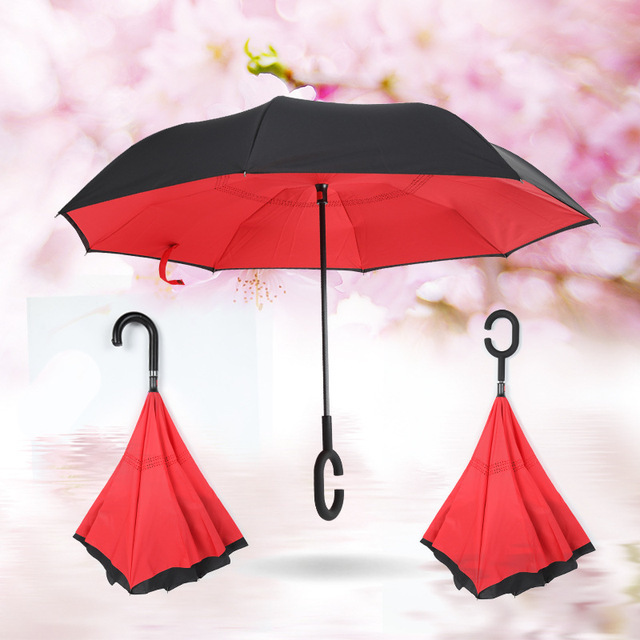 It adds a nice twist to our classic umbrella by turning inside-out when you’re not using it. 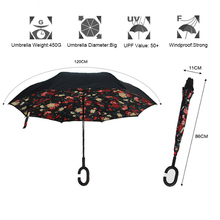 In this way, the dry inner side of the umbrella comes on the outside, keeping the wet side away to keep you dry when you make it in from the rain. 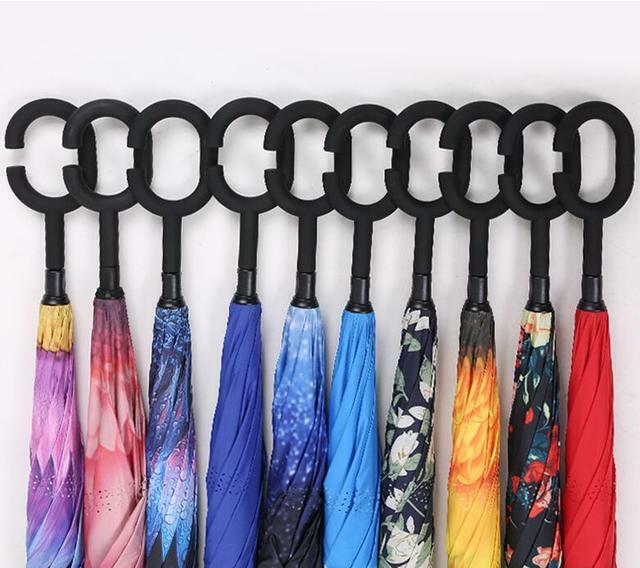 and it’s less awkward and more safer to open and close when in crowds, since the danger to poke in people’s eyes has been removed by the design. It will also keep the wet part of the umbrella inside once you’ve closed it, so things don’t get dripped on when you put it away after coming indoors.